Quite how The Flower Power ended up on New Orleans based label Tune-Kel is unknown. This record label were better known for releasing soul and R'N'B. Perhaps they wanted a slice of the emerging psychedelic action. 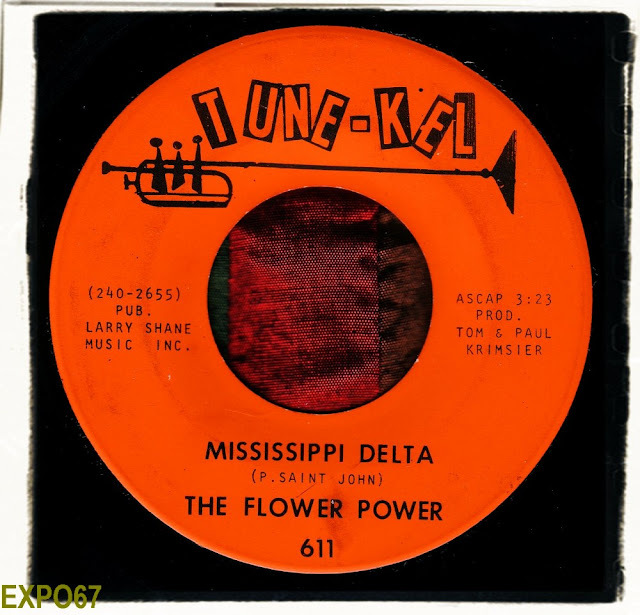 This release was The Flower Power's second 45 on Tune-Kel and is a P. Saint-John composed groover made popular by Bobby Gentry. 'Mississippi Delta' is a fuzzy blast with a strong lead vocal from Sandi Craig all wrapped up with throbbing bass lines and swirling organ. It's surprisingly never been compiled before! 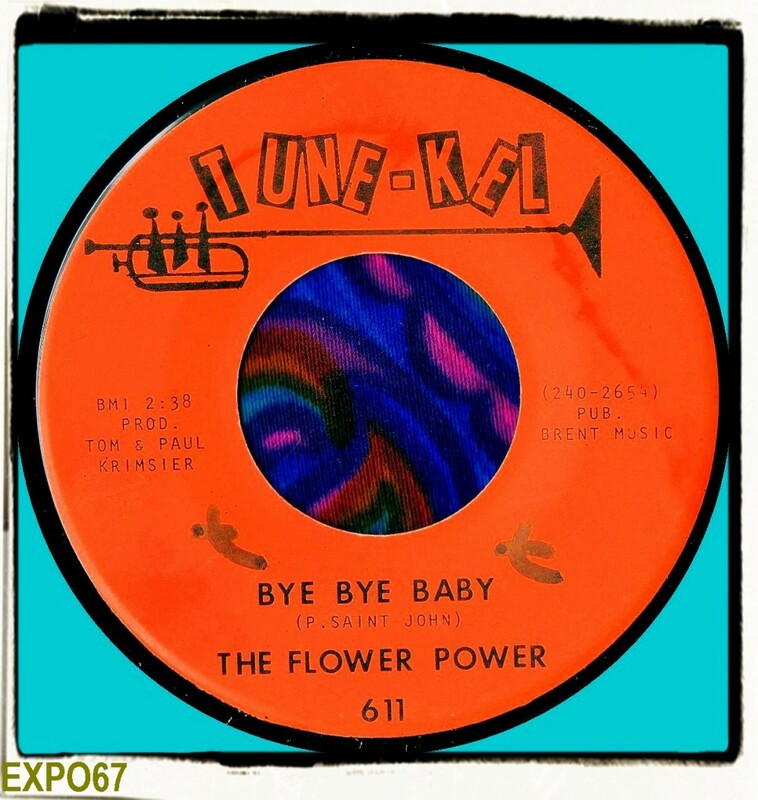 The flip 'Bye Bye Baby', another P. Saint John composition is hippie rock with a Lovin' Spoonful vibe. The composer of this song was Powell St. John who was a member of both Conqueroo and Mother Earth and wrote songs for the 13th Floor Elevators and Big Brother & The Holding Company as well.